Our goal is to connect people with the best local experts. We scored wedding photographers on more than 25 variables across five categories, and analysed the results to give you a hand-picked list of the best wedding photographers in Fort Collins, CO.
A Brilliant Photo is a Fort Collins, CO-based photography company specializing in weddings, engagements, baby bumps, babies, kids & family. Primary photographer, Agnieszka, loves working with people, making them smile and listening to their stories. A great part of her joy comes from being a big part of one of the biggest days in a client's life. With a bit of a mixed style, comprised of posed and candid shots, Agnieszka hopes her work speaks for itself. Located in the heart of Northern Colorado, the beautiful Fort Collins, Aldabella Photography travels all over the state capturing events on camera and covering weddings domestically and internationally. The family run business is the proud winner of Editors Choice Awards 2016, as well as various award collected over the years. With rave reviews, the husband-wife team, Kris & Lindsay, are both incredibly passionate and talented at what they do. Ash Meier is a worldwide destination and Colorado wedding photographer who specializes in outdoor and mountain weddings and a whole lot of real adventure. Featured in a variety of bridal resources, Ash Meier loves photographing people who are comfortable being themselves. She also emphasizes the fact that a client's wedding day is a unique celebration of their love and strives to capture that in her photos. Ashley McKenzie Photography is a Colorado wedding and portrait photographer who specializes in outdoor lifestyle photography for couples who find new adventures in everyday life and have a passion for the outdoors. Voted Best in the West by 2016 Rocky Mountain Bride, Ashley McKenzie is proud to photograph special moments in northern Colorado and the surrounding areas. Ben Bradley Photography provides fun and creative wedding, engagement, family and event photography services in Colorado and Wyoming. Ben is personable and incredibly easy to work with and strives to tell a story by documenting special and intimate moments during every wedding and event. He aims to captures the joy and happiness between his clients in both a traditional and journalistic style. He’ll also talk with clients beforehand to understand all of the photos they desire. After each session, clients will receive all of the high-resolutions images with a copyright release. Danielle DeFiore is a wedding and portrait photographer with a passion for telling the stories through photography. She focuses most of her energy on weddings and family portraits throughout much of Colorado, and Danielle is honored to have her wedding, portrait and editorial work showcased in over 20 establishments, magazines, and websites. 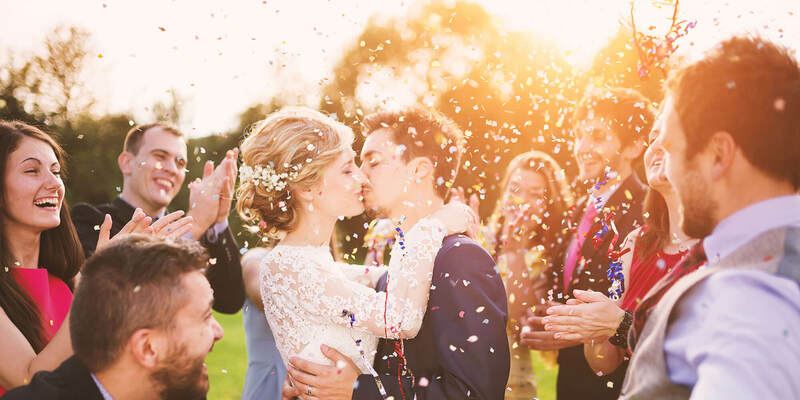 Galles Photography, the proud Editor’s Choice Awards winner, is a high-end wedding, engagement and bridal service in Loveland, CO. Galles Photography serves all of Colorado and also shoots high school seniors, family portraits, boudoirs and more. Jennifer, head photographer at Galles, prides herself on getting to know clients as people, rather than subjects. This allows her to capture the most real and authentic photos on the wedding day. JMGant Photography believes in much more than just taking pictures. Located in northern Colorado the company shoots both wedding and engagement photos. At JMGant, photos are an art form that can freeze a love story in time, can capture a lifelong relationship in an instant, or can bring the couple back to laughter, love, or tears. As such, their guarantee to create a collection of real, colorful and classic photographs that will preserve the beauty of each client's wedding. Featured on Couture Colorado, KJean Photography treats images as works of art, giving them the love and detail they deserve. Located in Fort Collins, CO, KJean Photography believes in embracing beauty and sharing love with others. Whether they are capturing a client's wedding day, photographing their engagement, or creating a stunning boudoir gallery, they guarantee the photos will be perfectly designed with love. Lisa O’Dwyer is a wedding, editorial, and portrait photographer based in Fort Collins, CO. With a decade of photography experience capturing the most important day in people’s lives, Lisa knows who she is and who her clients are. They are people who love culture, learning, art, music, history, and family. As such, her style is timeless, effortless, well-made, and bespoken. With a belief in quality, integrity, personality and style, Lisa vows to create photos clients will cherish for a lifetime to come. Picture This is a uniquely beautiful wedding, portrait, event, and advertising photography company. Picture This, located in Fort Collins CO, creates images that are timeless, so clients won't look back at them in a few years and see dated special effects. Picture This is also the proud winner of 2 consecutive year Wedding Wire Couples Choice Awards. As a member of nearly ten elite photography organizations, Rachel Olsen is a wedding, portrait, and fine art photographer based in Fort Collins, CO. She strives to capture the most authentic photos that reflect her couples and their love. She works hard to make sure her shots don't only capture how things looked, but how they felt. Sandberg Photography is a Fort Collins studio that offers wedding photography, senior portraits, and family portraits including newborns and children. The father-daughter photography team has been in business since 2004, shooting both in their studio and on location. They serve Fort Collins, Denver, and much of Colorado, as well as clients worldwide, using their love of emotion and candid moments to capture the personalities of their clients. Featured on Rocky Mountain Bride 2016, Sarah Christine Photography is proud to serve the greater Fort Collins, CO area. Specializing in engagements, wedding, family & baby photos, Sarah Christine vows to capture all the special moments to be treasured for years to come. With nearly a decade of experience, Sarah Lee Welch proudly runs a photography company specializing in weddings, engagements, family portraits, maternity, and babies. Located in Loveland, CO, Sarah works with the idea that a client's satisfaction comes first. She’s creative, flexible, dependable and honest, but most importantly, she cares and will work tirelessly to capture the extra special moments from every client's special day. Fort Collins Wedding Photographer Sean Lara offers some of the best artistic wedding, engagement, and portrait photography in both Colorado and Wyoming. Sean has a photojournalistic approach and is committed to capturing authentic moments and emotions with a creative flair. He knows that every client and wedding is unique and makes sure to incorporate some of his clients' personalities into every photo. Sean prides himself on providing clients with the quality service they deserve in a fun and professional manner. ShutterChic Photography is a Northern Colorado based wedding and boudoir filming company available for travel worldwide. ShutterChic Photography also prides themselves on being a service-based boutique photography studio that works hard to provide the highest level of service in wedding photography. Sonja is a fun, energetic, creative photographer, specializing in honest and intimate wedding and portrait photography. She is based out of Fort Collins, Colorado, but often travels to destination weddings all over the world. Whether it's an engagement story, family photos, or a wedding day, Sonja is a visual storyteller who captures the essence of human connections in her images. She enjoys what she does and brings out the best in her subjects, putting everyone at ease in front of the camera. With a passion for photographing people, people in love, and people in life, Sonja will do whatever it takes to capture each client's special day. Home to 2015 Wedding Wire Couples Choice Award, Tom K Photo Company has some of Colorado's top wedding photographers. Hundreds of couples have trusted them to tell their wedding stories with heart, humor, and love. Tom believes that wedding photography should not only capture how the wedding day looked but also how it felt. As such, the ultimate priority at Tom K Photo is to have a complete and meaningful document of the wedding day.